Cheryl and I decided to do something a little different to celebrate our anniversary this year — a two-day backroads of Texas road trip. The only ground rule that we set for this trip is that we would have no particular agenda other than to stay off of the main roads and obey our whims to follow and explore beckoning backroads along the way. So, we set off this morning in the general direction of Round Top, Texas and took the first opportunity to get off of Interstate-10 to begin our adventure. We spent the entire day driving slowly and enjoying the sights off the beaten path. There is little traffic on these back roads which made our drive all the more enjoyable. It was kind of fun to not be in a hurry to get anywhere, especially since we did not have plans to be anywhere in particular. So, we stopped quite a few times along the way to look at scenery, to talk, and to take photos. 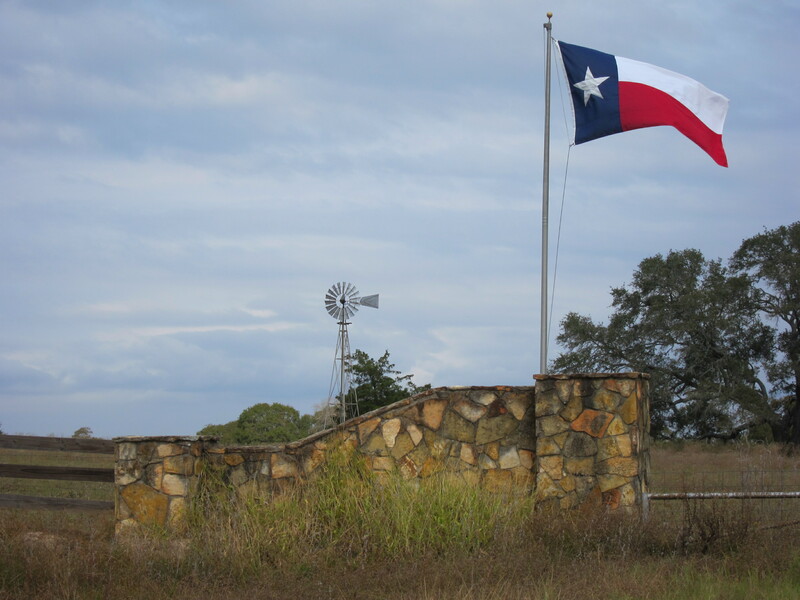 One of the most notable things about driving Texas backroads is the number of Texas and US flags that mark the entrances to rural properties along the way. We drove very few miles where we did not see flags fluttering in the breeze. 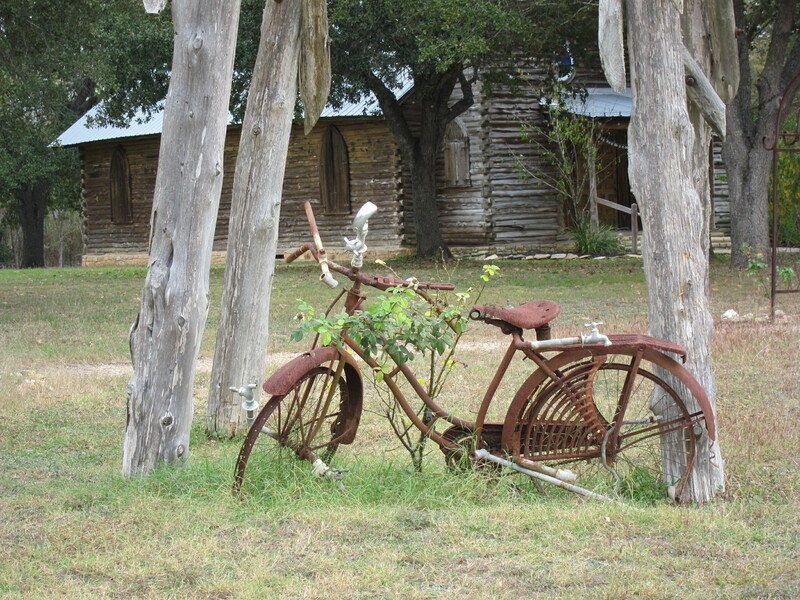 Texas backroads also offer lots of interesting sights. 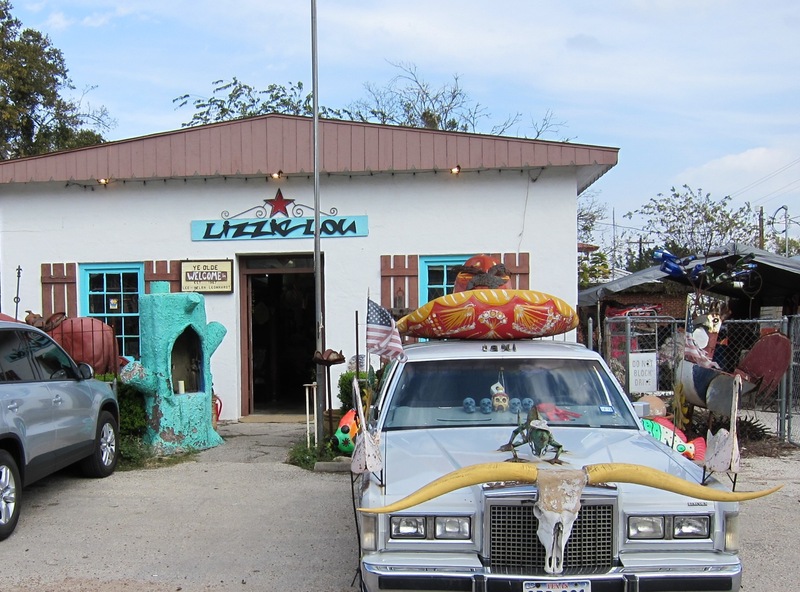 We saw an old rusty bicycle turned into yard art as we drove through Shelby and a longhorn-bedazzled old Lincoln in Round Top with a big sombrero atop its silver roof. The owners of this car likely have no problems finding their whimsical chariot in a parking lot full of cars. 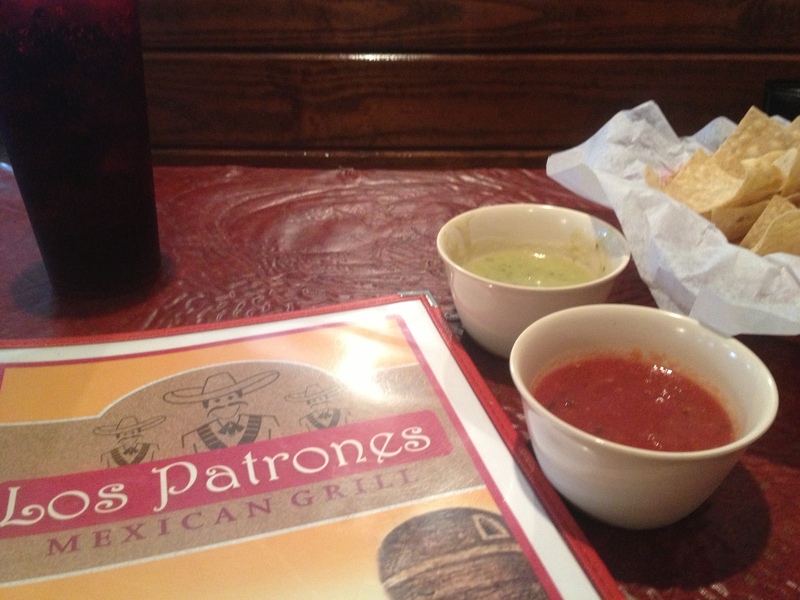 We stopped for lunch at Los Patrones Mexican Grill in Round Top, a delightful little place in an old building with weathered wooden floors. The smell of fajitas drew us in although we enjoyed the beef enchiladas. 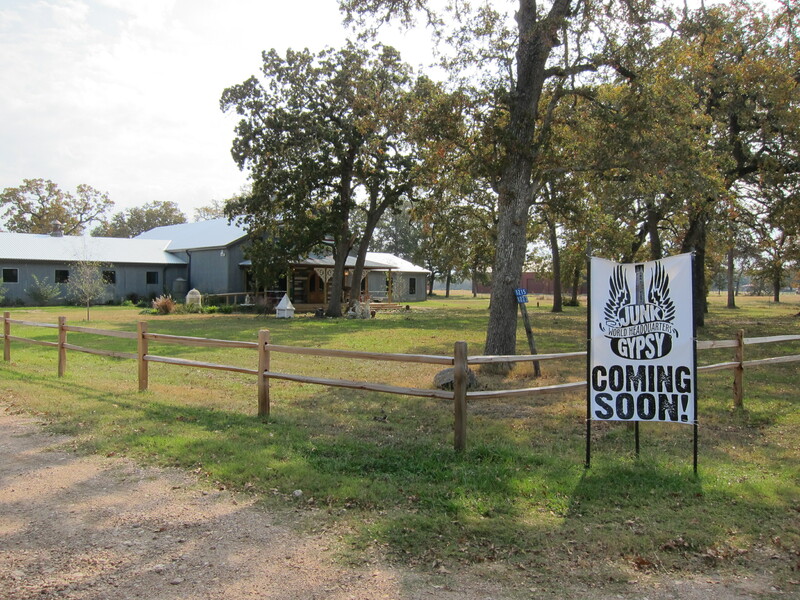 As we left Round Top we saw the future home of the Junk Gypsies store. The Junk Gypsies is one of our favorite HGTV programs. A few miles down the road we noticed a tiny white church. 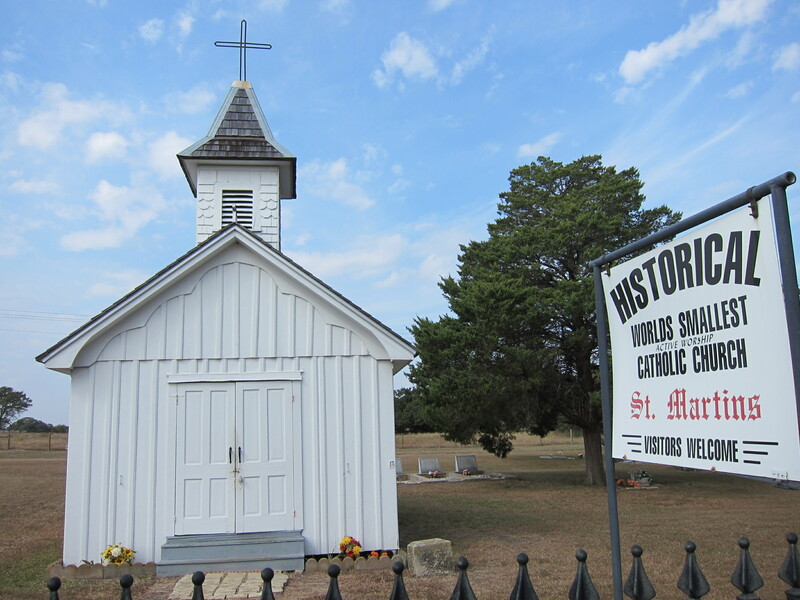 The sign out front identified it as the world’s smallest Catholic church that is still in use. About an hour later we noticed another church near Muldoon. 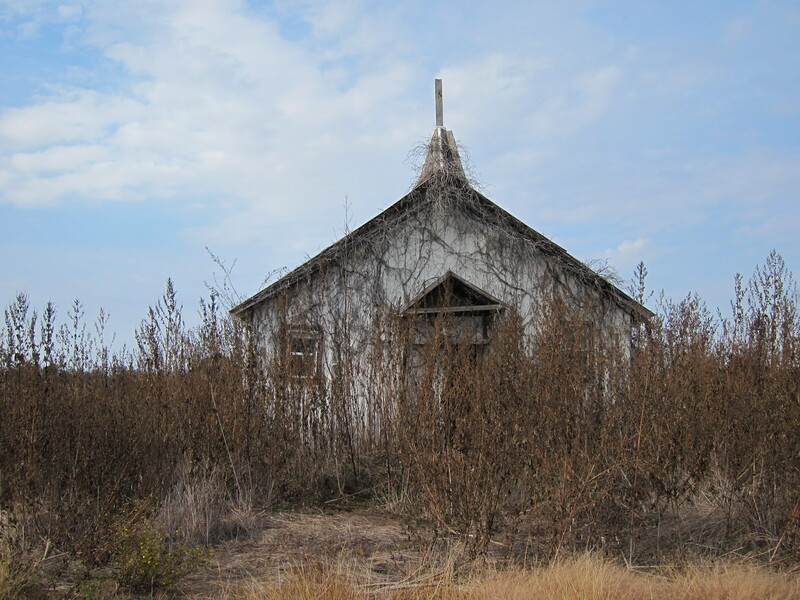 This church is obviously no longer in use. As I walked through this weathered old building I noticed faded Sunday School quarterlies scattered on the floor. And, as I stood at the altar and looked out at the broken pews, I could not help but wonder how many people might have worshiped there over the years and made some really good decisions to love God and love their neighbors. 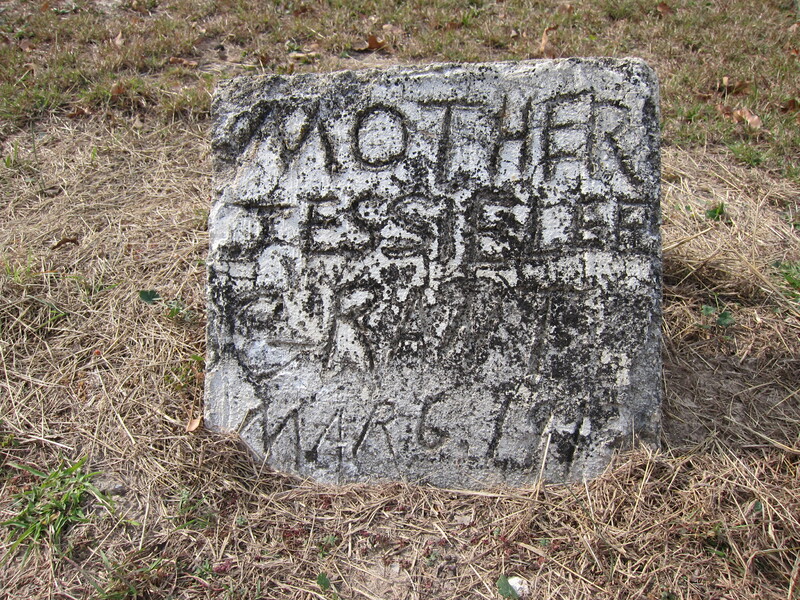 We also stopped by an old cemetery along the way and spent half an hour walking among and looking at the old grave markers. Many of them were so weathered that we could not read the names of those buried there. It was kind of sad to see so many weathered headstones with faded names and wondered if anyone ever visited these old graves. We saw no evidence of flowers, plastic or fresh, anywhere in this old cemetery. 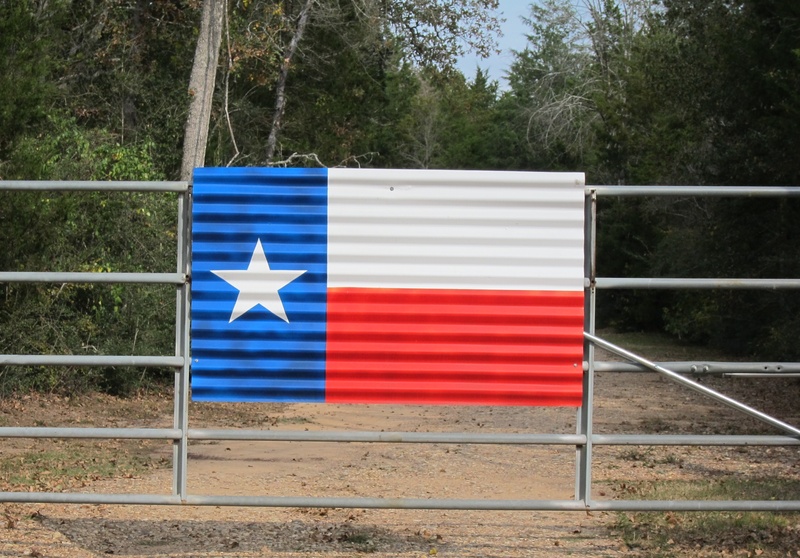 We are excited to continue our Texas backroads adventure tomorrow. We are just going to see where the road leads and hope to make it home some time in the evening. I encourage you to consider taking your own off-the-beaten-path adventure close to your home. This is something you can do in a day, doesn’t cost much, and will clear your head and refresh your heart. Hey Pastor Omar, glad you enjoyed your trip! The Junk Gypsies are awesome! I worked with Jolie at A&M for a few years and spent time hanging out with their family at their warehouse. After we moved I would often be surprised with a package of new t-shirts for me and the boys. They are a beautiful family! Glad you like their show! Enjoying our backroads trip, Eva. We will definitely be back when the new Junk Gypsy store is open. I am always amazed at how they reclaim, redeem, and repurpose old stuff. Amazing. Kind of like what God does with us 😉 So glad to know of your friendship with the Junk Gypsies.